We want you to join our team! Here at Bob Richards Chrysler Dodge Jeep RAM in Graniteville, SC. We are always looking for hard-working, talented individuals to join our team of incredible professionals. If you’re looking to take the next step forward in your career, please click on the Apply for Position button below. Our customers are our number one priority and we are committed to operating with the highest levels of professionalism, reliability and trust at our dealership. That’s why we’ve created a working atmosphere that encourages excellent communication, helpful customer service and personal growth by offering excellent career opportunities in all areas of our dealership. 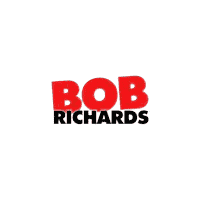 When you choose a career here at Bob Richards Chrysler Dodge Jeep RAM, you will always be treated with the utmost respect and consideration. Come join us!